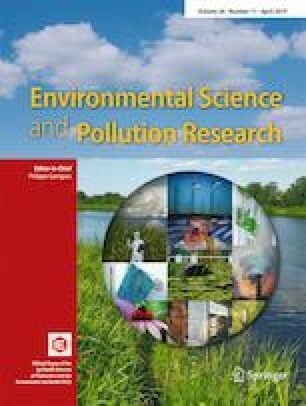 Efficacy of biocementation of lead mine waste from the Kabwe Mine site evaluated using Pararhodobacter sp. Biocementation of hazardous waste is used in reducing the mobility of contaminants, but studies on evaluating its efficacy have not been well documented. Therefore, to evaluate the efficacy of this method, physicochemical factors affecting stabilized hazardous products of in situ microbially induced calcium carbonate precipitation (MICP) were determined. The strength and leach resistance were investigated using the bacterium Pararhodobacter sp. Pb-contaminated kiln slag (KS) and leach plant residue (LPR) collected from Kabwe, Zambia, were investigated. Biocemented KS and KS/LPR had leachate Pb concentrations below the detection limit of < 0.001 mg/L, resisted slaking, and had maximum unconfined compressive strengths of 8 MPa for KS and 4 MPa for KS/LPR. Furthermore, biocemented KS and KS/LPR exhibited lower water absorption coefficient values, which could potentially reduce the water transportation of Pb2+. The results of this study show that MICP can reduce Pb2+ mobility in mine wastes. The improved physicochemical properties of the biocemented materials, therefore, indicates that this technique is an effective tool in stabilizing hazardous mine wastes and, consequently, preventing water and soil contamination. This work was partly supported by Japan International Cooperation Agency (JICA)/Japan Science and Technology Agency (JST), Science and Technology Research Partnership for Sustainable Development (SATREPS), and Japan Society for the Promotion of Science (JSPS) KAKENHI under grant numbers JP18H03395 and JP16H04404.